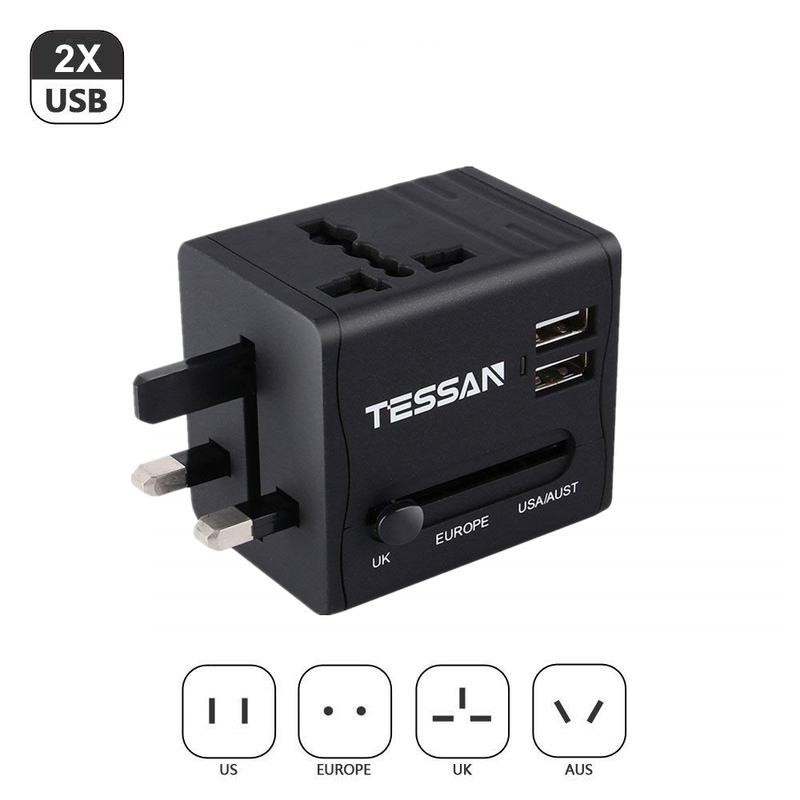 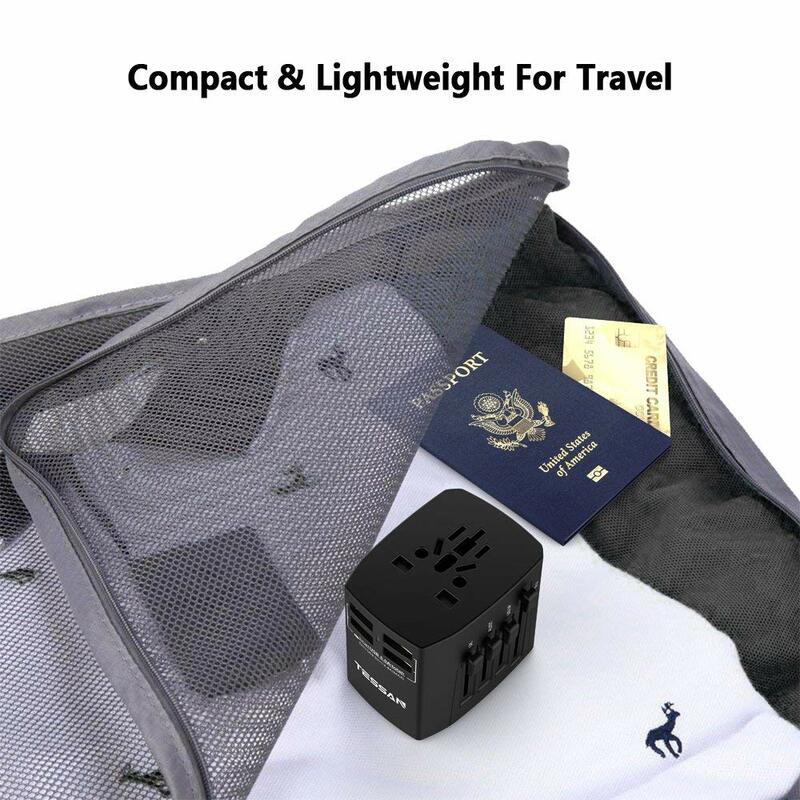 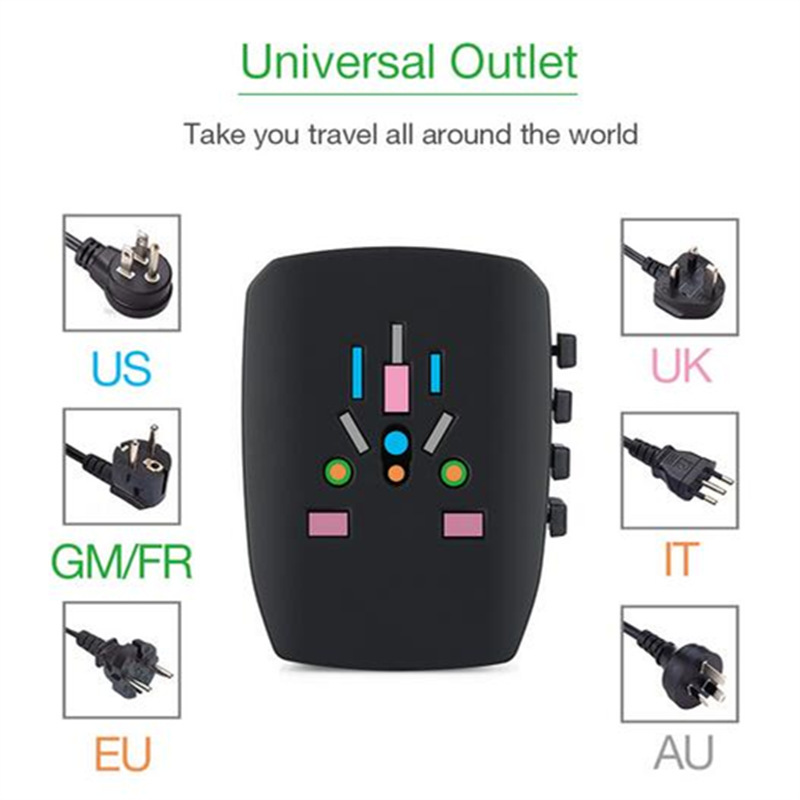 Power up your trip with this stylish, super compact and light weight All-In-One International Travel Plug Adapter with USB Ports suitable for use in Switzerland/ Italy/ Brazil, USA, UK, Australia/ China, Europe(Schuko), basically the anywhere in the world. 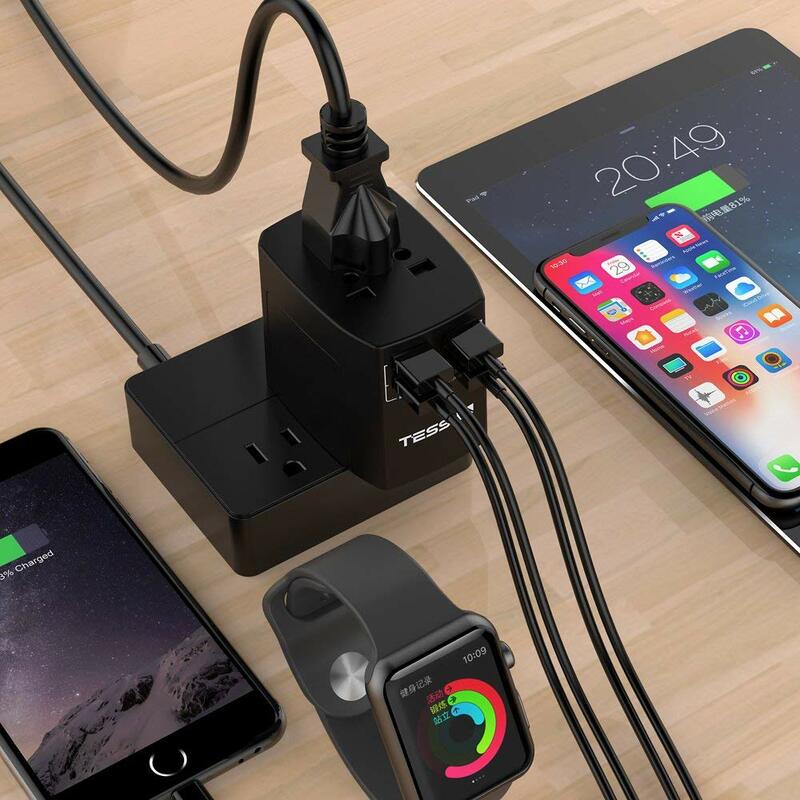 Never run out of power again this time. 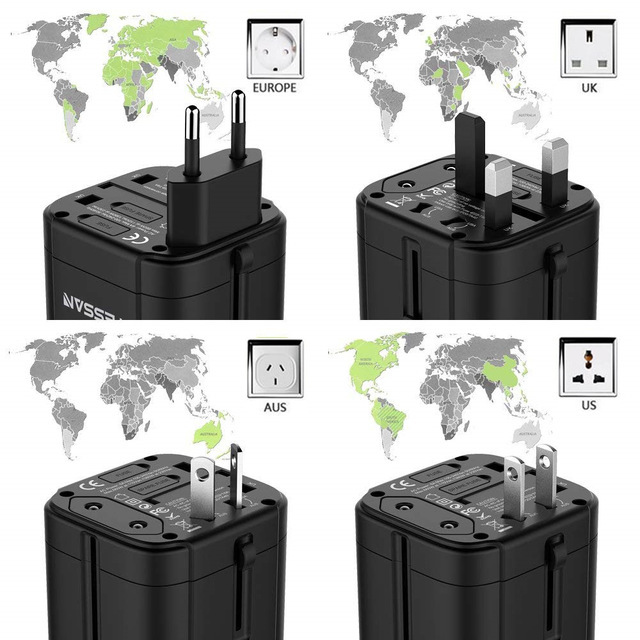 ◆Suitable for devices with unearthed plugs(2-pole) ◆4 USB charging ports ◆Compatibility: Switzerland/ Italy/ Brazil, USA, UK, Australia/ China, Europe(Schuko) ◆Input Voltage: 100V-240V AC, 50/60Hz ◆Max.Load: 8A ◆Power rating: 110V-880W / 230V-1840W ◆Replaceable fuse: T8A(a spare fuse included) ◆USB output: 5VDC/5.0A(Total), each USB 2.4A(Max) ◆Note: This adapter does not convert voltage. 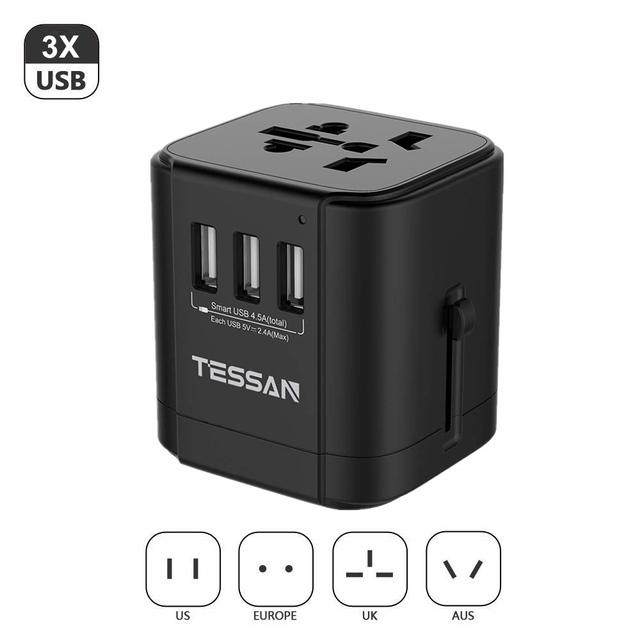 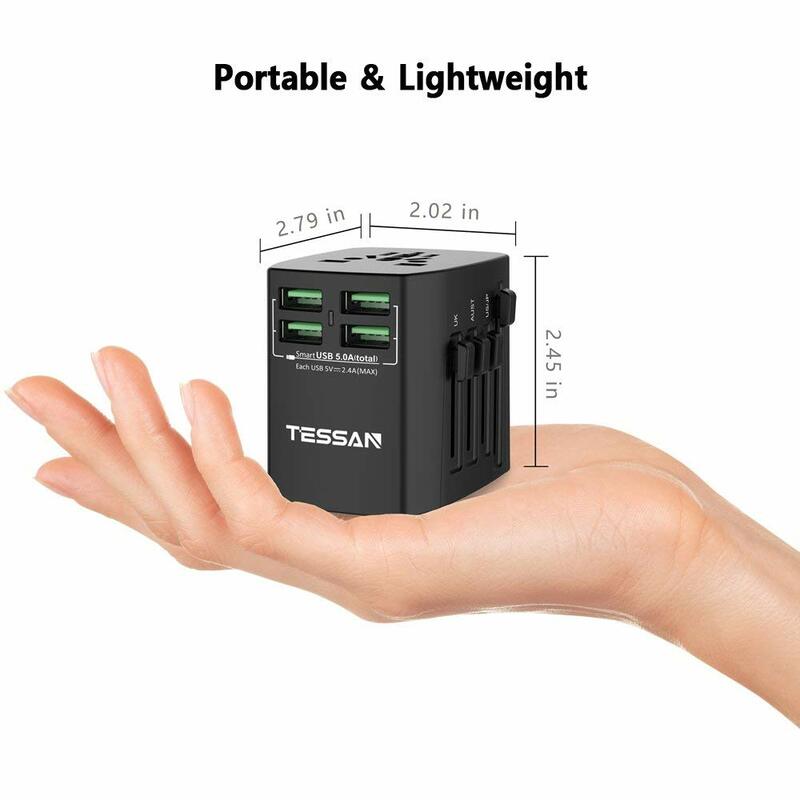 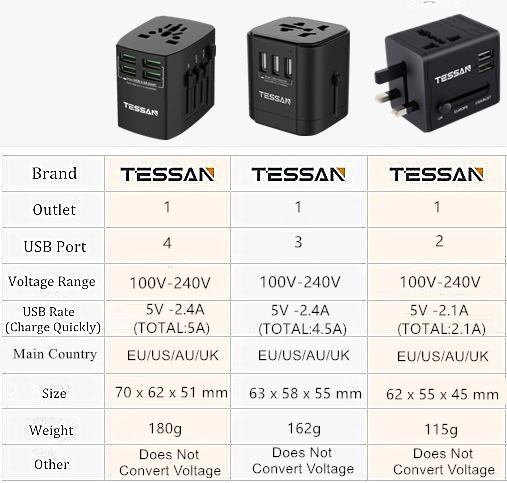 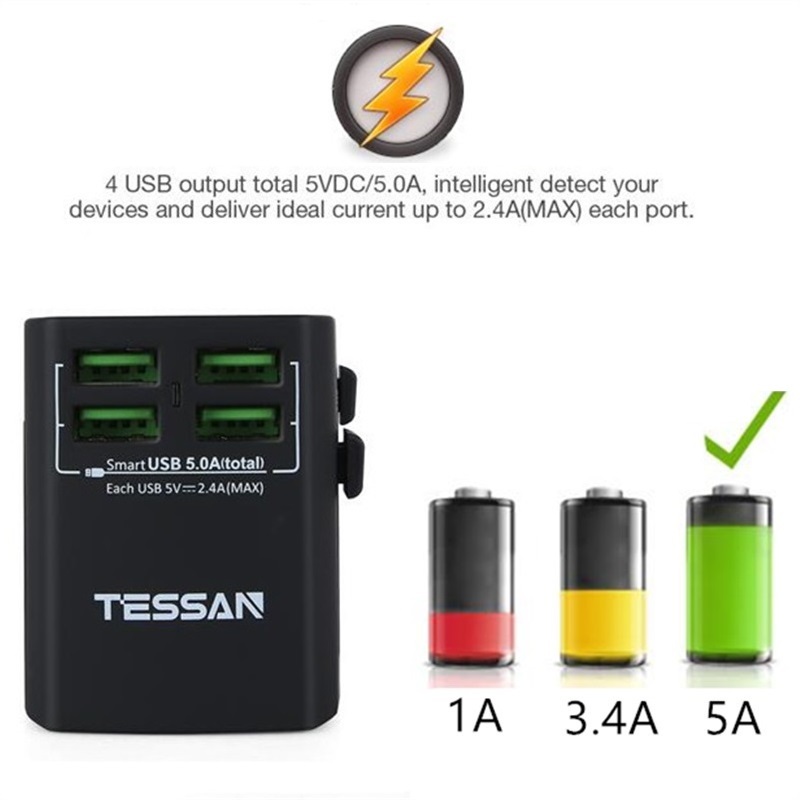 ◆Suitable for devices with unearthed plugs(2-pole) ◆3 USB charging ports ◆Compatibility: Switzerland/ Italy/ Brazil, USA, UK, Australia/ China, Europe(Schuko) ◆Input Voltage: 100V-240V AC, 50/60Hz ◆Max.Load: 6A ◆Power rating: 110V-660W / 230V-1380W ◆Replaceable fuse: T8A(a spare fuse included) ◆USB output: 5VDC/4.5A(Total), each USB 2.4A(Max) ◆Note: This adapter does not convert voltage. ◆Suitable for devices with unearthed plugs(2-pole) ◆2 USB charging ports ◆Compatibility: Switzerland/ Italy/ Brazil, USA, UK, Australia/ China, Europe(Schuko) ◆Input Voltage: 100V-240V AC, 50/60Hz ◆Max.Load: 6A ◆Power rating: 110V-660W / 230V-1380W ◆Replaceable fuse: T8A(a spare fuse included) ◆USB output: 5VDC/2.1A(Total), each USB 2.1A(Max) ◆Note: This adapter does not convert voltage.